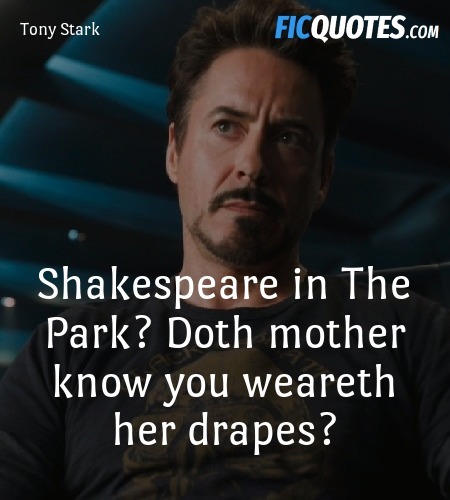 The Avengers - Doth mother know you weareth her drapes!! You really have got a lid on it, haven't you? What's your secret? Mellow jazz? Bongo drums? Huge bag of weed? I am Loki, of Asgard and I am burdened with glorious purpose.